My experience was a good one. My car had some major engine issues and they made suggestions even though what they were suggesting wound not have earned them money. That is first class in my book!!! Friendly, professional trustworthy staff. I won't take my car anywhere else. I always get excellent service from Naper Auto works. I switched from getting my cars serviced at the dealer to Naper Auto Works when they were still new, because they did all the routine/scheduled service quicker and cheaper, and because they were able to solve a refrigerant problem the dealer didn't. Now that my cars are older, they do all sorts of repairs, including tracking down intermittent problems, and finding discontinued parts, and keep my cars running well. I have already recommended them several times. Naper Auto Works in Naperville, IL is your one stop shop for auto service and maintenance. 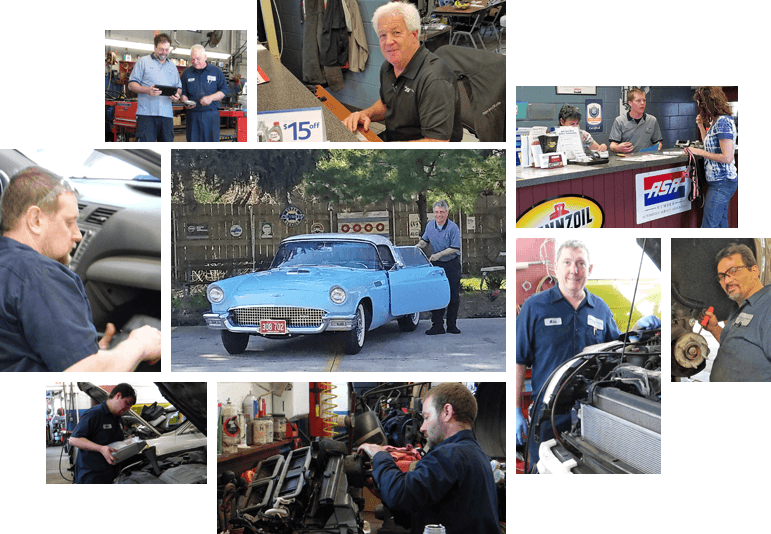 Our reputation for honest, efficient work has allowed us to serve the community of Naperville auto repair unmatched in quality since 1977. Our team members are committed to providing our customers with the best auto service experience possible. From our quality work, to our helpful advice, when you bring your car into Naper Auto Works, you can trust you’re getting the best auto repair in Naperville, IL! - For all Your Cars! At Naper Auto Works, we provide all of your needs for maintenance and auto repair in Naperville. Our ASE Certified technicians can expertly handle the auto repair other shops can’t, such as transmission repair, alignments, towing & road service, and even truck repair and welding. Our in-shop tire experts can help you with the sale and service of a wide variety of brands and sizes. We’re proud to offer a 24 month/24,000 mile warranty on all of our repairs. We honor most extended warranties. 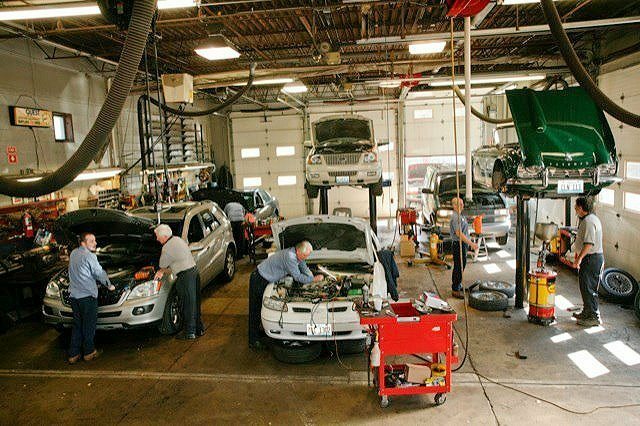 Whether you need a quick oil change, transmission service, or anything in between, you can count on our expert Naperville auto repair technicians to have you back on the road in no time! Naper Auto Works has provided premier customer service and auto repair in Naperville, since 1977. People who bring their vehicles to us are our friends, family, and neighbors, many of whom have trusted Naper Auto Works with their vehicles for decades. We want to make your experience with us as pleasant and hassle-free as possible. We offer a complimentary local shuttle service to get you where you need to go. We are also conveniently located within walking distance of the downtown Naperville train station. If you’re in need of a tow, we’re happy to pick up you and your vehicle with our quick and friendly tow service. If you prefer to wait at our shop, take advantage of the free Wi-Fi Internet in our comfortable, clean waiting area. Give us a call today or schedule an appointment online and let the friendly experts at Naper Auto Works show you why we’re the #1 source for auto repair in Naperville, IL!